Soren Skou said biggest ocean carrier is more customer-centric than ever, but vessel reliability and detention fees still a pain for customers. Maersk Chief Executive Soren Skou is looking for more small deals in a bid to remake the ocean carrier into a FedEx Corp (NYSE: FDX) or UPS (NYSE: UPS) of the seas for door-to-door service. A big step in that move is making the once painful process of booking ocean freight as easy as sending a parcel or getting a plane ticket. Yet one of the most painful points for customers – detention and demurrage fees – Skou said the company can do a better job. Skou, on stage at IHS Markit's TPM 2019 conference, was asked about Maersk's progress from a sprawling conglomerate involved in oil tankers and offshore drilling to one focused exclusively on container shipping. Skou said Maersk expects to close in on instant confirmation for booking space on a container ship for standard freight, down from a three-hour or longer wait. Likewise the documentation required for that freight is now mostly being completed in two hours down from eight hours. The move to automate many steps in booking ocean freight not only eases the customer experience, it also keeps operating costs low as the "single most common phone call to Maersk is where is my container," Skou said. Instant confirmations, online price quotes and container tracking "will be table stakes" for the industry going forward, Skou said. "I expect other carriers to follow suit." He said the company is moving to tiered services with different service levels ranging from best efforts to guaranteed delivery, which "is going to happen." 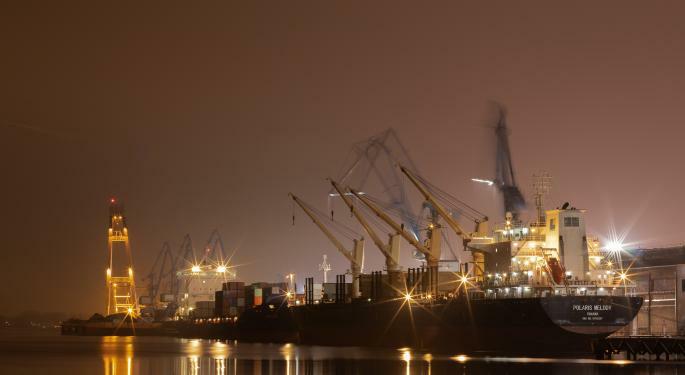 Major shippers still see service quality lacking in ocean freight. Kim Vaccaro, head of international logistics at The Home Depot (NYSE: HD), said trans-Pacific ocean freight saw 40 percent reliability in on-time and scheduled deliveries. "We need more predictability and consistency," Vaccaro said. "It's Increasingly more difficult to have a predictable supply chain." 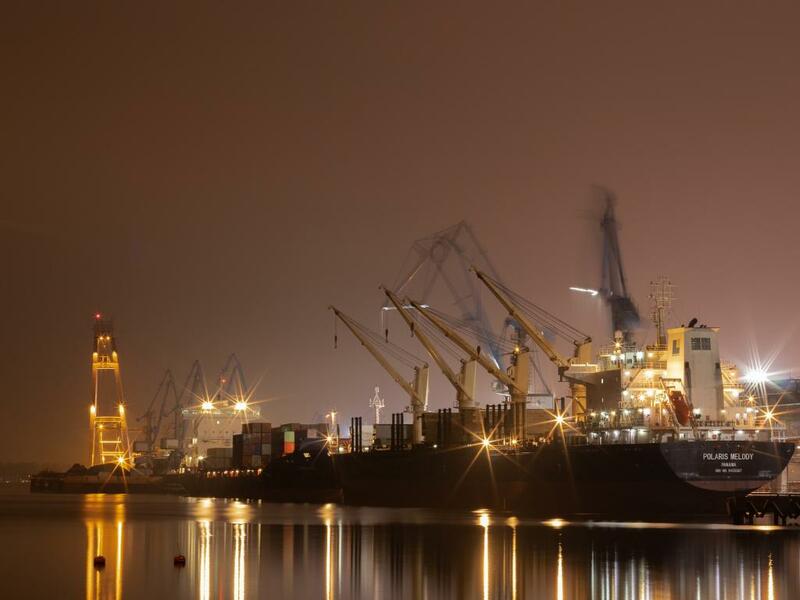 In a bid to have more control of the supply chains, Maersk is looking to add ancillary services, such as its recent deal for customs brokerage Vandergrift. Maersk, which is making separate its tanker and drilling units, wants to add other container-centric services to its portfolio. But he said big deals are not on its radar. "We are not looking to do any multi-billion transactions," Skou said. "We are still in the process of integrating Hamburg Sud." Those moves into end-to-end logistics for containers puts Maersk more squarely in the business of its freight forwarder customers, which make up around 40 percent of its container capacity. But he said the overall automation move at Maersk also benefits forwarders as they also spend less time booking freight. Forwarders will be "able to transact at the lowest possible cost per shipment," Skou said. But the automation means forwarders will have to step up additional services for their customers if the "only thing they have to provide is a booking service as it is very easy to make a booking now." But one of the most painful areas for shippers, Skou admitted it is "not doing enough actually" to address the surging fees facing customers that cannot pick up or return container boxes to marine terminals. Those detention and demurrage fees are lumped into Maersk's "other" revenue, which saw a 35 percent rise last year to $3.4 billion. But Skou put some of the burden of those fees on marine terminals, which saw a surge of cargo from late 2018 to early 2019. On that score, Maersk faces its own challenge as it tries to automate one of the most congested terminals in North America, the Port of Los Angeles. It will be key "to figure out how to become more efficient at the ports in North America. That's where we can make a difference," Skou said.